When applying for a job, one of the biggest things potential employees look for is a healthy benefits package, which includes vacation time, holidays, paid sick leave, paid personal time off, some retirement options, and health insurance. A PolicyGenius survey in 2016 of 2,000 American health insurance consumers asked for definitions of four basic health insurance terms: deductible, coinsurance, copay and out-of-pocket maximum. Only 4% of the survey takers correctly identified the meanings. Millennials fared the worst in understanding any of the terms out of the four “age groups” of the workforce (Silents: born 1925-1946; Baby Boomers: born 1946-1964; Generation Xers: born 1965-1980; Generation Ys or Millennials: born after 1980). Only 36% of Generation Y correctly identified any terms. And only 40% of American workers believe that they can choose the best health care plan for themselves and their families. Enter Flimp Communications and PLANselect®. PLANselect is an affordable, web-based benefits decision-support tool that helps employees and their families quickly figure out which employer-sponsored health plan option is best for their needs. The product takes two days to implement once benefits plan details are provided by the employer. There are four simple multiple-choice questions to answer. An algorithm called the percentile-of-use method is employed instead of the calculator model, which is utilized by most of the private market health plans. What’s the difference? And how can the human resources staff champion PLANselect to upper-level management? First and foremost, PLANselect has been developed by a physician-led team of health insurance experts. And what they’ve done is to take a complicated, daunting task and make it comprehensible and effortless. PLANselect employs a percentile-of-use method for its algorithms applications. So medical costs, from lab services to prescriptions and surgeries, as well as unpredictable ancillary costs, are mapped in the Blue Health Intelligence database, of 165 million claimants. 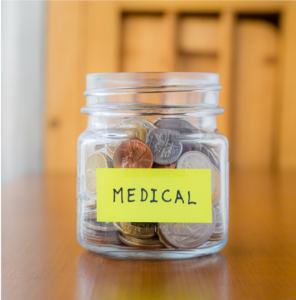 Zip codes are used to make regional adjustments to medical costs. No personal information is necessary. It takes only three to four minutes to complete, and can be used by companies with 100 or more employees. It’s mobile friendly, easy to navigate and compatible with most online benefits enrollment platforms. This is also the type of decision-support algorithm used by Healthcare.gov. The calculator-algorithm model, on the other hand, multiplies a user’s input of services times the estimated costs of those services. That means the employee needs to input a very detailed history of their medical services and prescription drugs, as well as intrusive questions like annual income and savings. Typically, this format takes at least 30-40 minutes to complete, and must be completed in one session. This method is typically used by companies with 5,000+ employees, takes 6 to 8 weeks to implement and is not mobile friendly, requiring users to go to desktop or laptop to input their information. This is the basis of most of the private market’s benefits decision-support tools, including interactive avatar-based products. So what can this mean for employees? It’s a case of simple versus complex, fast versus slow and confidential versus identifiable personal data. And how can human resources facilitate a transition to PLANselect? As noted in the January 11, 2017 article by the Society for Human Resources Management (SHRM), the 1980s brought runaway health insurance cost increases. Over the next ten years, companies responded to this by taking their HR departments out of the loop for negotiating and procuring insurance plans and putting it into the hands of the company’s controller or chief financial officer. Taking the selection of health plans out of the hands of those most concerned with employee wellbeing, and putting it into the hands of finance personnel, meant that the perspective shifted from health to bottom line. Reducing costs became the focus, rather than finding plans that are optimal for employees. So what are the top three PLANselect pluses HR can present to financial decision makers, like the CEO and CFO? A human resources professional works as an advocate for both the company and the people who work for the company. It’s a constant balancing act, and top HR people put high-wire performers to shame. Bringing the simple, straightforward PLANselect option to an audience eager to find better, smarter and easier ways to pick the best healthcare plan for themselves will prompt thunderous applause from everyone. It’s a win-win proposition.